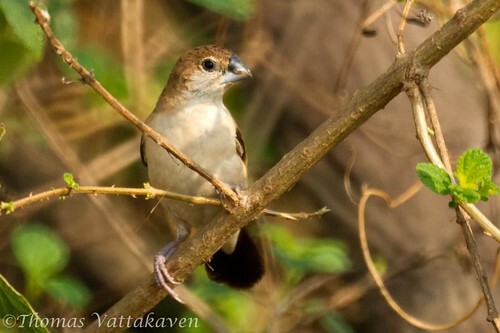 The Indian Silverbill or White-throated Munia (Euodice malabarica) is a small bird belonging to the finch family. 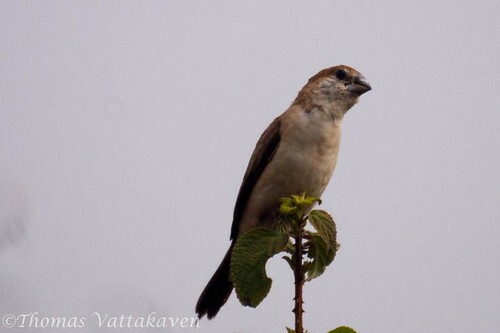 Its most distinctive character is its conical silver-grey bill. Bill has a dark, curved, upper mandible while the lower mandible is lighter often reflecting. 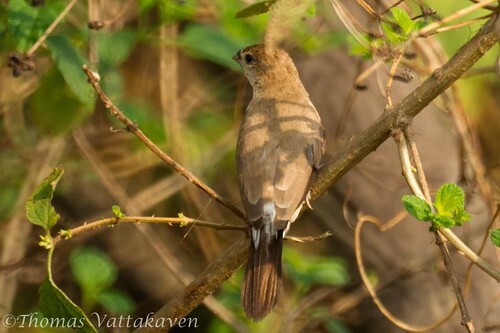 The bird has buff-brown upperparts, white underparts, buffy flanks and dark wings. 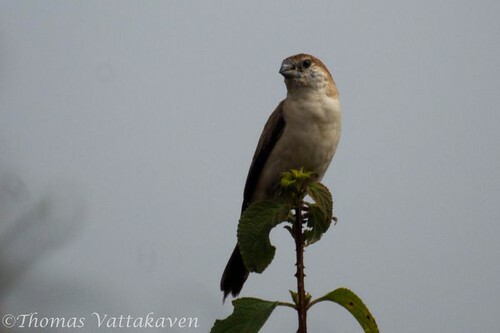 The tail is black and the wings are dark contrasting with a white rump. 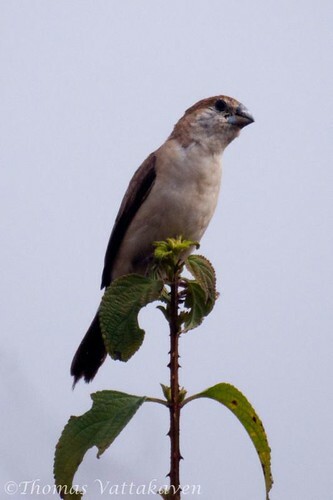 The sexes are similar, but immatures have buff underparts and a shorter tail. 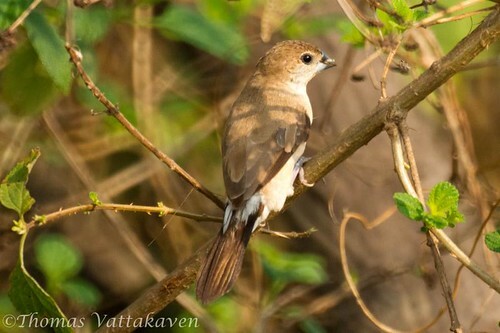 The Silverbill feeds mainly on seeds, but also takes insects and has been known to visit nectar bearing flowers.It frequents dry open scrub, fallow land and cultivation, sometimes near water. 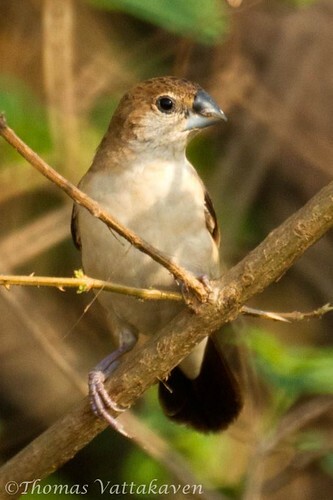 These birds are gregarious and are found in flocks of as many as 60 birds. They feed on the ground or on low shrubs and grass stalks. 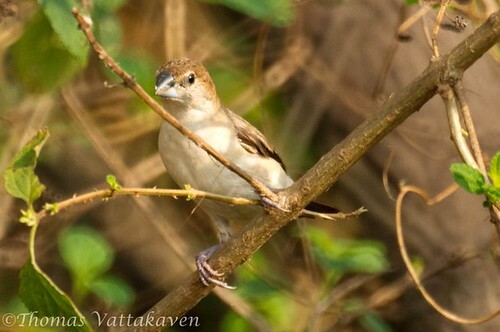 They constantly utter a low cheeping or chirping contact call as they forage. The breeding season is spread out and varies with region. 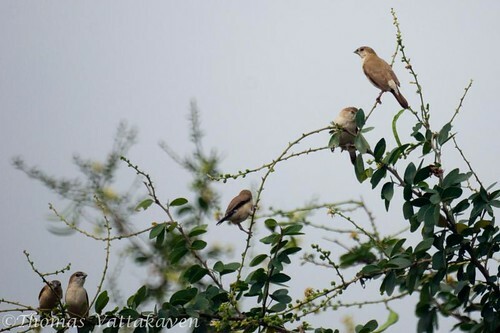 They nest in winter in southern India and after summer in northern India. They nest, an untidy ball of grasses with an opening on the side, is placed in low shrubs. Reference: Wikipedia , BirdForum Opus.